My gut instinct about Dr Zdenka Reinhardt has held true from the time I wrote about her in the Offical Complaint Letter in the dark days after Hayley died in November 2009 to 2 and a half years later when we finally meet up at the Coroners Court in May 2012 . “Dear Dr Zdenka. You were very kind. I know Hayley’s death has affected you greatly and has made a difference. I wish I had talked to you sooner. Thank you for trying “. You kept saying sorry again and again during Hayley’s resuscitation. Hayley’s life saving medication keep spraying out of control all over my face. This happened again and again. I had told Shelia Bennett that Hayley’s line was failing but she didn’t take me seriously. Hayley didn’t have a hope in hell because her line had failed when she needed it the most. So, Dr Zdenka, you were at the sharp end. The second Hayley died I made a vow I would hold everyone accountable and tell her story to the world. As I held her lifeless hand I set a trap to flush out the rats who failed Hayley. I looked at the crash scene and scanned everyone’s face and announced. 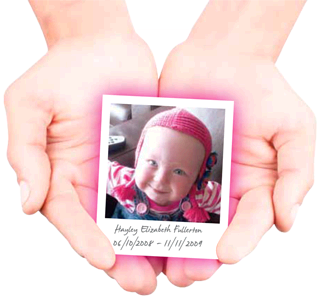 “Thank you for doing your best for Hayley. I really appreciate all your efforts.” I did genuinely want to thank the intensive care doctors whom I had become fond of (especially Dr Neal as he was my favourite). I felt sorry, they were the forgotten victims of Ward 11 neglected as well as Hayley. But my main motive was revenge and I waited to see who would react – who would fold. And it was you – Dr Zdenka – your face crumpled you cried out and fell into Dr Neal’s arms and had to be carried from the room. But instead of feeling rage I felt a tiny shred of comfort among the bitter fury and a faint dim light far far away in the distance of gratitude that you wept openly for my only child. This dim far away light would provide a little bit of hope in the dark days ahead when the hounds of despair would bay outside my window. I don’t believe I flushed out any rats that day, all I did was hit a nerve of someone with a conscience. The rats didn’t react because rats don’t have a conscience. Click on video to find out what happened at the meeting.